Summer has rolled in quite nicely, and what better way to get around town, than on a bicycle? Some people think cycling is a hassle, but the folks down at the new Bike Coop on the University of Ottawa Lees Campus think otherwise. The Bike Coop, located at 200 Lees Ave, room A105, is a student federation of the University of Ottawa (SFUO) initiative run by students for the community at large. In early summer, the Coop held their second official event, The Bike Coop BikeBQ, that attracted more than 100 people. It featured musical performances by local artists, Claude Munson, Jean-Francois Delaquis, Brad Morden, Graeme O’Farrell and The Boys of Bytown. The event also featured the making of recycled “bike jewelry”, an initiative the Coop felt was crucial, in terms of sustainability and re-use of materials. Head mechanic Alex Brandt helped people fix their bikes, as part of the coop’s do-it-yourself philosophy. 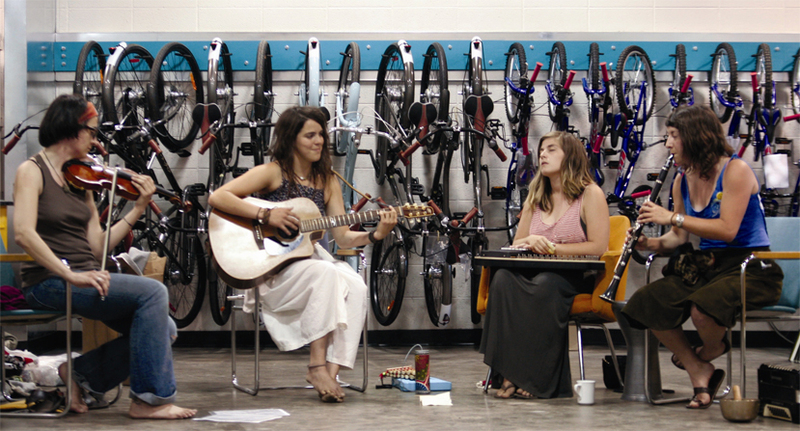 The Bike Coop strives to develop strong links between its members and the community at large. “Our mandate ranges from simply fixing bikes and teaching people how, to creating a home away from home where people can stop by to relax, be creative and express themselves through different mediums,” said Kelsey Fennerty, a Bike Coop volunteer involved in the planning of the event. Following the success of the BikeBQ, the Coop is planning more summer events. It wants to reach out to all bicycle riders, moving towards a more cyclist-friendly city through workshops, learn-to-ride programs, bike-alongs, movie bike-in evenings and music shows. For more information on the University of Ottawa Bike Coop, email them at coopvelo@gmail.com or give them a call at 613-562-5966 ext 7079.